One of the most pressing issues with big data is the ability to store, manage and examine hundreds of millions of data points that exist beyond traditional boundaries, determine their relationship with each other and deliver new insights to existing context. The speed with which distributed big data can be analyzed is often critical in making sense of the various datasets. 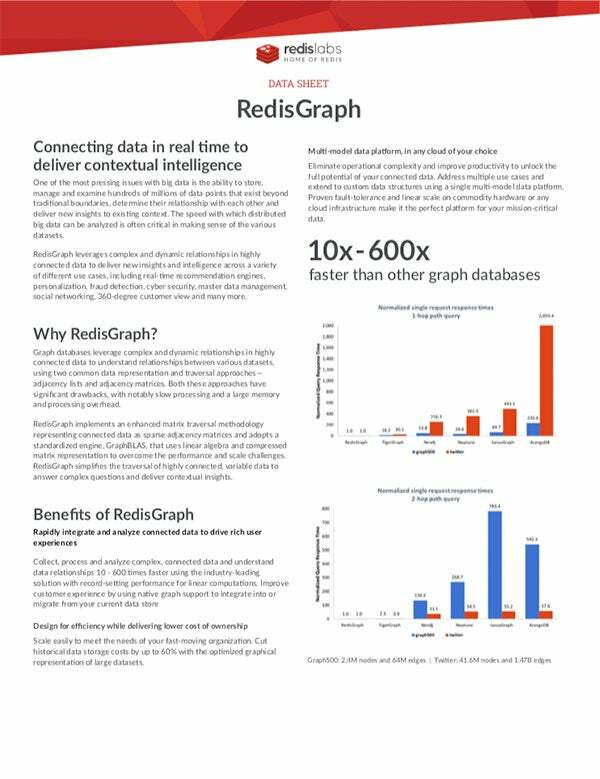 RedisGraph leverages complex and dynamic relationships in highly connected data to deliver new insights and intelligence across a variety of different use cases, including real-time recommendation engines, personalization, fraud detection, cyber security, master data management, social networking, 360-degree customer view and many more.